Performance appraisals are an essential component of performance management, and are required annually for all University career employees. Ideally, the performance appraisal process should be a positive, reflective time that comprehensively summarizes the ongoing discussions between the supervisor and employee that have occurred during the year. To do their best, staff members want to know that their contributions are recognized and acknowledged. 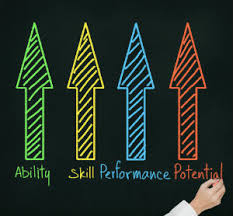 This process is also the time to review performance as well as update the job description, discuss goals, plan future work, and establish an employee development plan that supports job specific skills and career aspirations. Appraisals for the 2013-14 review period must be submitted to the appropriate Staff Human Resources Employee & Labor Relations (ELR) Analyst by Monday August 25, 2014. Managers who are scheduled to leave for the summer months or who supervise staff on summer furloughs, should complete their performance appraisals in June to meet the August 25, 2014 deadline. Your ELR Analyst can provide you with advice and assist in writing performance appraisals. We encourage consultation in advance of the official appraisal meeting with the staff member, particularly if performance issues exist. Classroom trainings will be provided on June 10 and August 5. Webinars will be provided on July 1, July 29 and August 13. Enrollment is required. Click for more details and to enroll. For further information regarding the performance management process and the available training opportunities, do not hit “reply”. Please contact your ELR Analyst or email elrinfo@ucsc.edu.